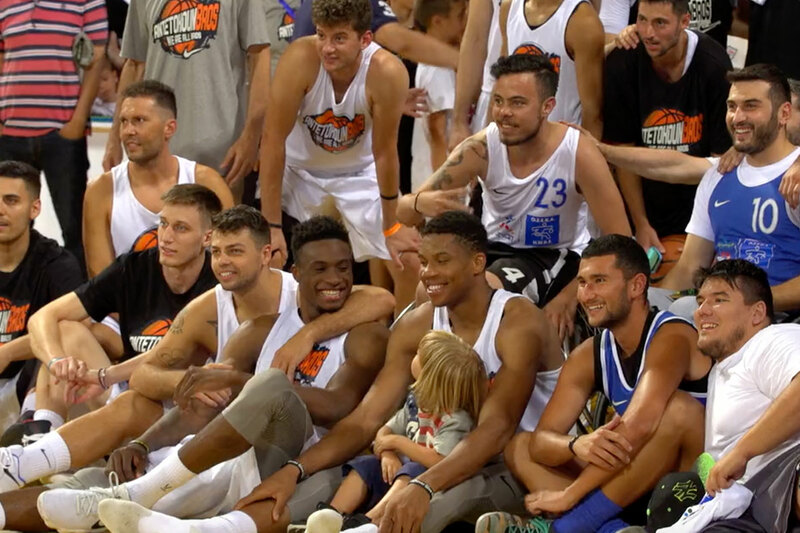 The Antetokounbros event is a series of exhibition basketball games, held every summer in different Greek cities. It all began when brothers, Giannis and Thanasis Antetokounmpo, decided to shoot some hoops in an outdoor playground in Athens, where they used to play as kids. It was made clear to them that for the following year they would have to find a bigger court. In the summer of 2017 and after an amazing season with the Milwaukee Bucks, Giannis is already considered the next big thing of the NBA. Thousands of fans filled the Nick Galis Hall in Thessaloniki and saw him compete against the Greek National Basketball Team that won the 2005 Eurobasket (also the last team to beat the Dream Team in an international competition). We were brought in to cover the event and create a number of videos for sponsors, including the Milwaukee Bucks!